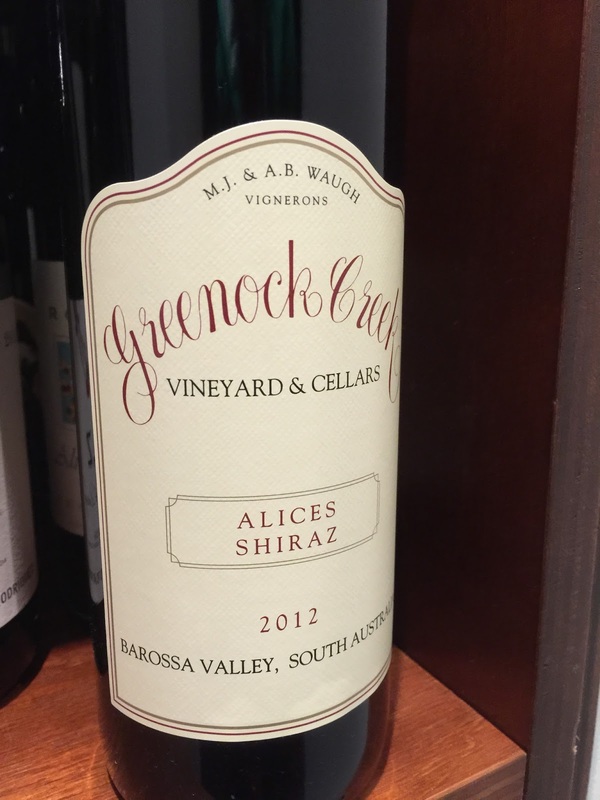 A first time tasting of Greenock Creek’s “Alices Shiraz”. The 2012 vintage in particular. It has high toned aromatics of redcurrant, spirit, strawberry jam, mixed currants and seemed almost slightly burnt, before a more expected crunchy blackberry character emerged. The palate follows a more linear path, reminding of plums and strawberry jam, and is soft and pure in its expression. Overall, a not entirely convincing performance, but the underlying fruit purity on the palate is attractive and I think it may benefit from a couple of years in the cellar. A-G.